SPORAH TV: MALARIA AFFECTS ABOUT 500 MILLION PEOPLE A YEAR & NEARLY A MILLION CHILDREN YOUNGER THAN 5YRS OLD. MALARIA AFFECTS ABOUT 500 MILLION PEOPLE A YEAR & NEARLY A MILLION CHILDREN YOUNGER THAN 5YRS OLD. Malaria strikes and kills hundreds and thousands of infants and young children mostly in Sub-Sahara Africa. Urban Pulse Creative Media, Miss Africa Yorkshire 2010 And Miss Nubian UK 2010 on The Sporah Show talking about Malaria and what is being done about this problem. Your looking very nice Sporah, I love da dress, da Hippppssss. Will you be there Sporra? i dont mind coming down only if you'll confirm to be there. I love your show by the way. How will that help Malaria in Africa?????? I hope those guys knows and understand Malaria well. 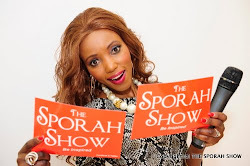 Looking hooooot Sporah, I like your show very much. Keep up the hard work. Malaria is a huge problem in Africa come to Zambia and see!! it kills alot of people 1000000000 times than HIV. Well done guys for raising awareness of Malaria. 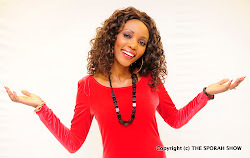 Am watching your show on Star TV now Sporah, Its very Nice. Uko Juu Dada, sasa Bongo Lini? Karibu sana nyumbani. Hongereni jamani kina Frank, Baraka na Mwenzenu huyo kwa kazi kubwa mnayoifanya, Siku itafika tu Mungu atawajalia ndoto zenu zitimie. Endeleeni kufanya kazi hivohivo Mungu atawapa. 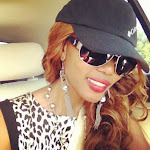 Good one Sporah, here in Congo is worse, Malaria kills hundred of childrn everyday, every single day. Karubu to Congo DC, i like your Show. Very good Sporah, this is a serious matter in Africa.